Are you in desperate need for a kitesurfing holiday but none of your friends or kite buddies has time? Then maybe it is time for a solo kitesurfing trip. If you are in desperate need of a kitesurfing holiday but none of your friends or kite buddies have the time? Or maybe you have always wanted to go to that one kitesurf spot but can’t find someone to tag along? 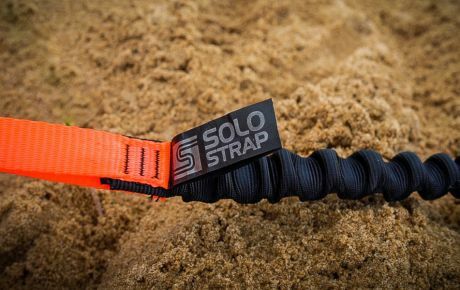 Well, guess what, it’s time for a solo kite surf trip and speaking from my own experience, it might just be the trip of a lifetime that you didn’t expect! To me traveling solo is the moment when suddenly I have so much “me time” and I feel like I’m back at my core self, not distracted by all the noise around. It’s where you find yourself after you got lost in the crazy everyday life, where somebody always wants something and there is just one more thing to do before you finally get to do xyz. It’s just the raw, pure you. Getting back to that is one of the most beautiful moments ever. And then you’re ready to go out again, hit the road and meet new people, because you just reminded yourself again of who you are and what you need. As in every area of your life: magic happens outside of your comfort zone! No matter how long you’ve kitesurfed and how much you’re traveled – it’s always good to take a step out of the well known things, this is where the beautifully crazy and unexpected surprises of life hit you. We are routine animals, our brain loves routines because it makes our daily lives so much easier. But once you’re traveling solo, you’re naturally forced to go that little step further, walking that extra mile, to be a bit more open, to just look out for some company. And before you know you have a fun kite session, try a new surfboard for some strapless surfing and end up having Tacos in a small Mexican shack with the locals, listening to some live music. 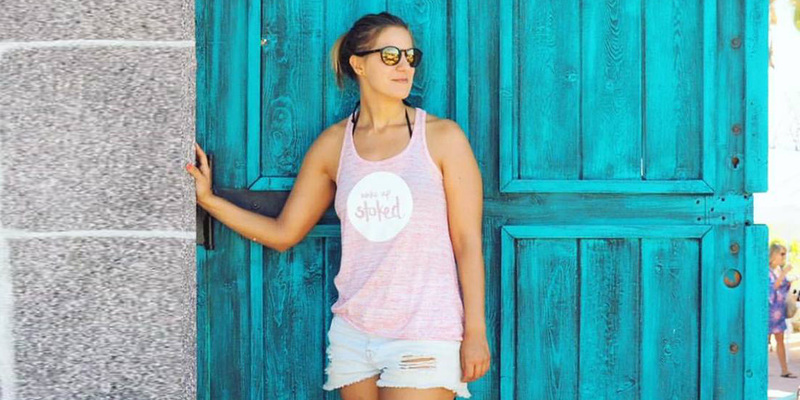 Would you have gotten there if you were traveling with your friends? Probably not. There’s nothing more beautiful than waking up in the morning and having absolutely NO PLAN and no clue what this day will bring you. Free of obligations you’ll start into the day with open eyes and open mind and it’ll surely take you to places, people and adventures you hadn’t planned before. Since you have no agenda, you’re more likely to just bump into that local who was just on his way to a secret spot, giving you a free ride to a place you didn’t even know existed. The fun thing traveling to a place where no one knows your story and background, is: you start fresh, on a blank page, and that feeling always gives me a thrill. You micro-reinvent yourself, maybe do things you usually wouldn’t do and end up having very different experiences from the usual kite holiday with your friends. 5. Feeling the biggest luxury of all: just being in the moment. There is no one waiting at the beach for you, hungry to go have food or tired and wanting to have a ride with your car back home. It’s just you. You and the elements, the water splashing against your legs, wind blowing through your hair, the saltwater on your lips. And suddenly a moment becomes what feels an hour. You’re all there and every second you spend seems like a billion dollar moment. 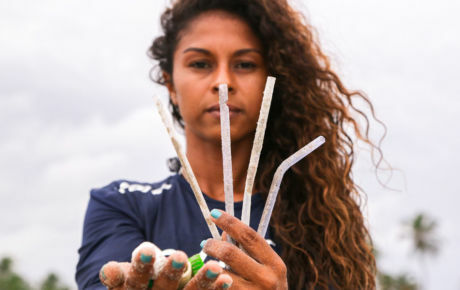 If you’re a landlocked kitesurfer like me and don’t have any cool kite buddys back home with you ( I do know after traveling but didn’t have them in the beginning) – now is your time! I’ve made some of the best connections with adventurous, intelligent and funny kite buddies at kitesurf spots I travelled solo to! 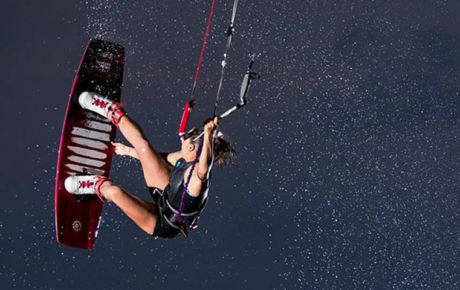 And the beauty about the kitesurfing community is: it’s a small world! You’ll meet again where the wind takes you. 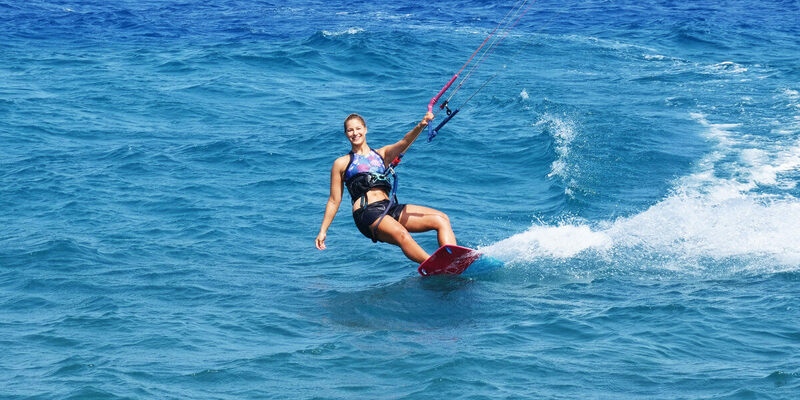 – Cabarete, Dominican Republic: Whether you’re a yoga-loving and health-food-addicted kite girl or like to go for good food and drinks every night – this is the place for you. No other spot in the world has that kite vibe and within a day you’ll have plenty of kite buddys in crime! Plus there is a really high level here at the spot and a lot of really rad female kiteboarders to inspire your style of riding! – Tarifa, Spain: This is the European version of Cabarete! A huge kite surf scene and tons of bars, tapas places, restaurants to have a great night every night of the week. An ideal spot for solo-traveling kite girls as well! 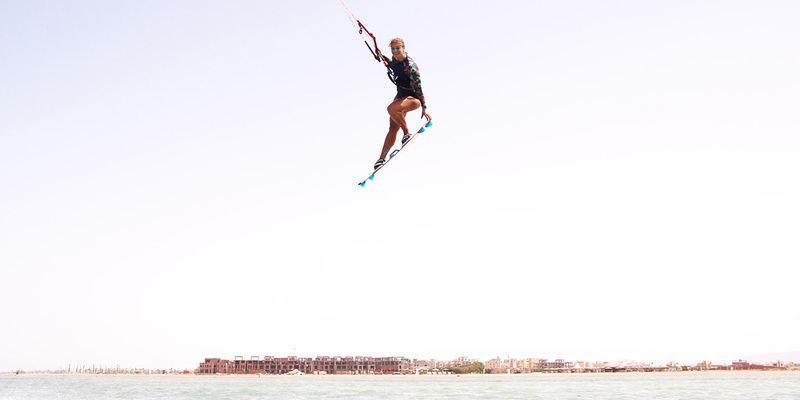 – El Gouna, Egypt: Some kite teacher called this place the Disneyland of Egypt and it’s true! I felt totally comfortable at this spot right from the start, there are tons of solo-traveling kite girls and it’s easy to get to know new people. There is also lots of no wind options and tons of restaurants and bars to celeberate your new jump. At KBC they also have events for kite girls. – La Ventana, Baja California, Mexico: this is a place for the laid-back, yoga-loving, in-touch-with-nature kite girl! While this place also has a great overall atmosphere and it’s easy to get to know new people as a solo-traveller – it’s not the place to go to if you want to party every night. Baja Midnight starts at 9 pm and people here pretty much get up with sunrise to go for a SUP or mountain-bike or yoga session instead of partying all night. You’re still not sure if you should just head out all by yourself? 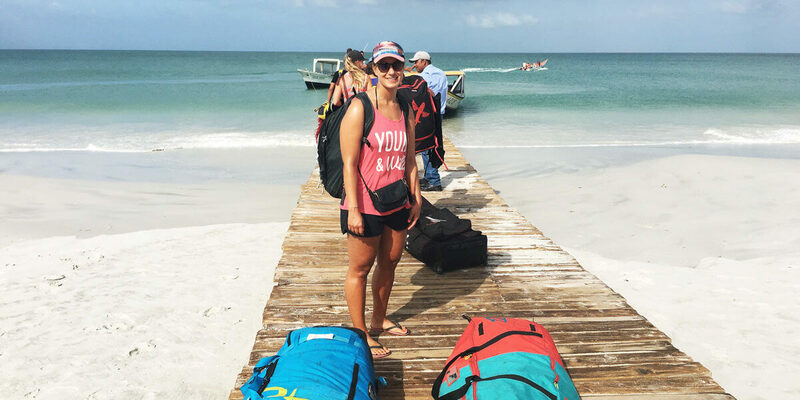 If this is your first trip as a solo-traveling kitegirl, then why don’t you do this: ask around in one of the Facebook groups for local kite girls – like the Women’s Kiteboarding Community, Kite Chicas or Kite Chics United. And before you know it, you already have some local girls to meet up with! Also try facebook groups with more members, e.g. look for your destination and kitesurf in facebook – just to give a random example, this is the Kitesurf Tarifa group. 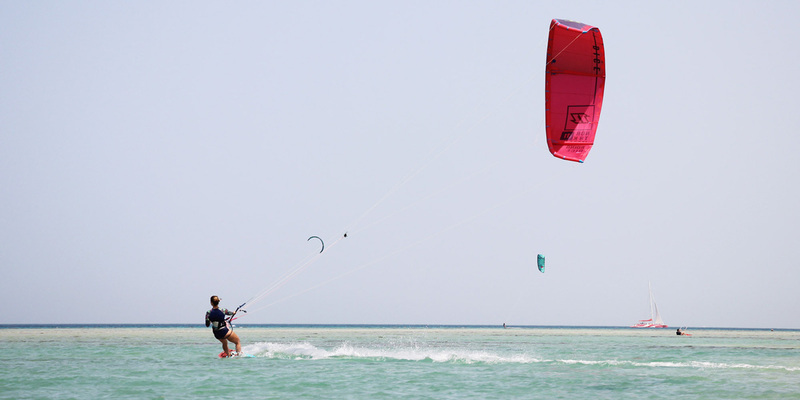 Or if you want to push your riding at the same time, try one of the many (girls) kite camps that are offered. But just out of my own experience: go out there and let life surprise you. Carried away by magic, saltwater and wind you’ll probably return back home with a whole lot of stories! 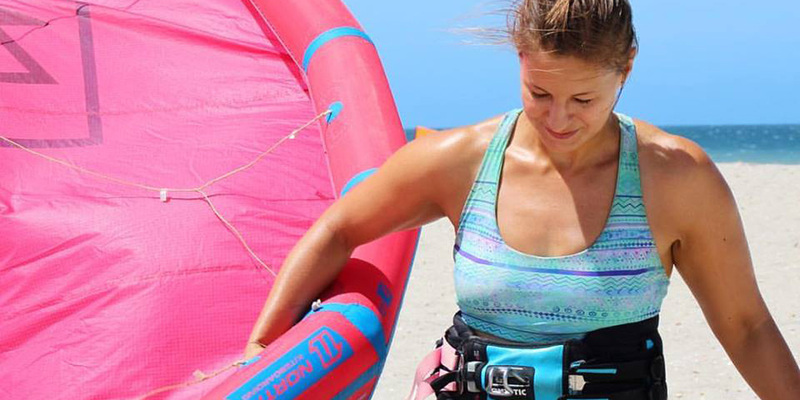 Written by Miriam, kitesurf addict and founder of the kitesurf travel blog Wake Up Stoked. 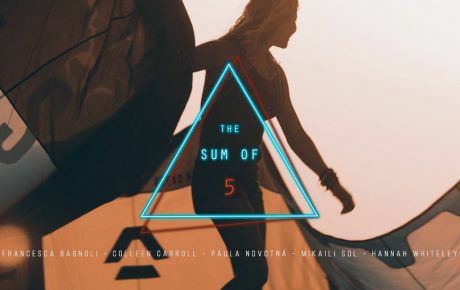 She travels around the world as a freelance graphic designer, chasing the wind and waves. Find out more about her on her blog, Instagram or Facebook.